League of Evil. The name is enough to send small shivers of excitement through me. 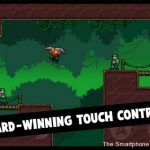 The app was an expansive, difficult platforming game whose touch controls remain unbeaten in terms of accuracy and ease of use. 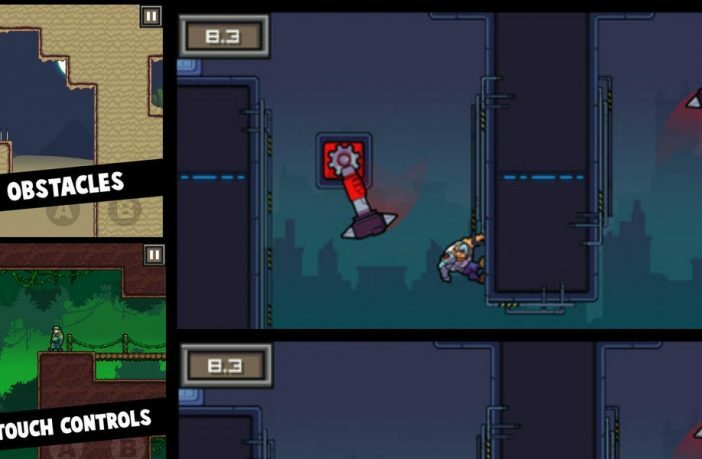 It had it all: deadly obstacles, lengthy wall jumps, impossibly engaging gameplay. Well, a new game has stepped into the spotlight, here to challenge this platforming titan. Of course, I’m talking about League of Evil 2 ($2.99). The game has all of the merits of the original, but also includes a few less enjoyable gameplay features. Consequently, it sends somewhat smaller shivers of excitement through me because, well, I’ve seen almost all of what it offers before. Gone are the retro pixellated graphics of the original, replaced by a cleaner cell-shaded style that looks great on the retina screen. The new look definitely has character and makes the game feel different to its predecessor, but is only a change from the visual feel of the original rather than an improvement upon it. The music is well suited to the cartoony vibe of the game, with various tracks to suit the game’s five distinct environments, which include the jungle, desert and icy arctic. These environments appear at 20/21 level intervals, ensuring that you never have time to get bored of your surroundings before being whisked off to somewhere else via a stylish, but not particularly necessary, comic strip interlude. Levels themselves contain plenty for you to do. To progress to the next level, you have to track down and eliminate the scientist cowering in the corner of each level. On top of that, you’re encouraged to track down the briefcase that’s hidden in each stage and to complete the level as quickly as you can (the faster you are, the more stars you earn, with the most you’ll be rewarded being three). Such speedruns are challenging – I’m pretty sure that it’s impossible to obtain three stars on a few levels, but that might just be me not being good enough at the game. 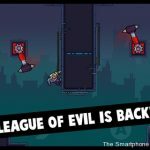 Because of how it encourages you to play through levels with different objectives in mind, League of Evil 2 becomes a hugely replayable beast. Content-wise, the game provides you plenty of bang for your buck. The difficulty curve is generally fairly smooth, with early stages being easy to get into and later ones being very much the opposite. However, there are a few difficulty spikes from level to level that could do with being ironed out. Nevertheless, they’re never large or frequent enough to be likely to put you off playing. Level design is good but lacks variety. The obstacles, objectives and difficulty haven’t changed at all since the first game, so if you’ve played the original, you won’t find much new here. One notably different aspect of League of Evil 2 is boss battles. Unfortunately, their potential is not capitalised on, with the game’s bosses being either too easy or too difficult to defeat. Their attack patterns do not vary, their movements do not vary and the stages in which they are placed are dull in their design. A real shame. 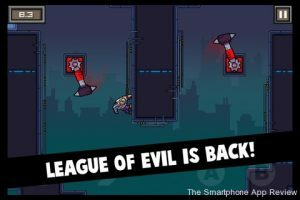 Overall, League of Evil 2 is a hugely engaging platformer with brilliant touch controls and a wealth of environmentally varied gameplay. It is graphically and musically accomplished, but sadly fails to improve on the original League of Evil. If you’re a fan of the first game, you’ll still find plenty to enjoy here, just don’t expect anything new. If you’ve never played the original, you should definitely give League of Evil 2 a go. Check out our video review of the original League of Evil!